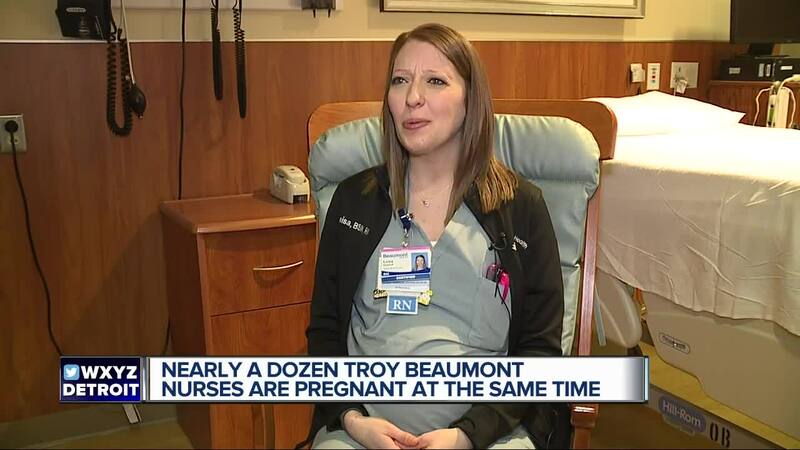 TROY, Mich. (WXYZ) — Eleven pregnant nurses in Troy are expecting their own bundles of joy in the next couple of months. Beaumont Hospital's Troy Labor and Delivery unit announced 11 of their nurses will take a break from helping deliver babies to birth their own. As for the due dates, four are expected in February, two in March, one in April, two in May and one in June. The last is due in August. One of the nurses is expecting twins, meaning 12 babies are on the way.